A black and white photograph of John H. Willis (1859-). This picture is from a frame of portraits of members of Composite Lodge No. 30, AF & AM. John H. Willis was born in 1859. 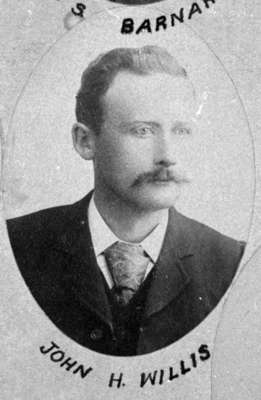 John H. Willis, 1892, W.E. O'Brien. Whitby Archives 31-009-343.